The CFLS is delighted to present a new series of student-authored blog posts on current feminist legal topics. 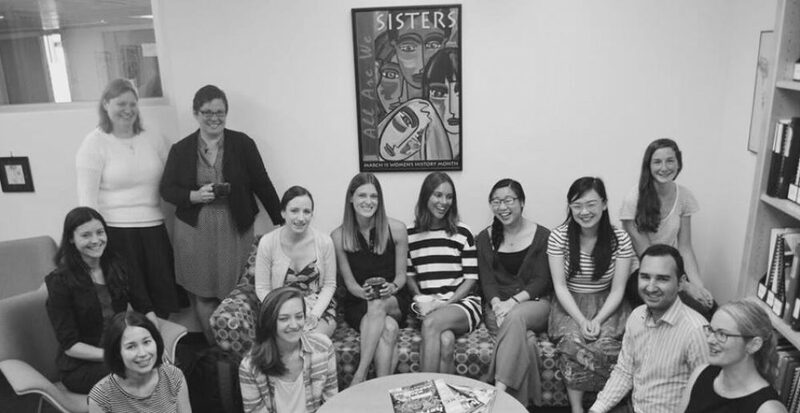 These opinion, editorial-style posts were written by Allard Hall JD and LLM students as part of the Women, Law & Social Change course in 2016-2017. In October 2016, British Columbia was held to account for its disappointing women’s rights record at the United Nations in Geneva. “British Columbia does not have a women’s rights focal point,” said UN Committee member, Nahla Haidar, at Canada’s periodic review for compliance with the Convention on the Elimination of Discrimination Against Women (CEDAW). Those who are skeptical about the power of a rights-based approach might see BC’s implementation failure as affirming their position. The ten BC-based non-governmental organizations (NGOs) that made submissions at Canada’s review would disagree. BC’s pronounced inequality does not reveal the weakness of a rights-based approach; it is the consequence of failing to adopt one. This week, the BC Liberals held onto their 16-year leadership of the provincial legislature – a period in which multiple regressive policy decisions have adversely impacted BC women. As of 2002, BC is the only Canadian province without a Human Rights Commission. BC has no pay equity law, no employment equity law, and some of the least affordable childcare in Canada. BC has now been without a Human Rights Commission for almost 15 years, meaning that the broad oversight needed to effect structural change has been absent for the same amount of time. The Commission was formerly tasked with educating the public, inquiring into systemic issues, developing guidelines, and promoting human rights compliance. By asking what systemic obstacles block opportunity for communities, the Commission embodied a rights-based approach. A rights-based approach turns ‘problems’ into ‘violations’ – the difference being that violations are not inevitable, and do not need to be tolerated. Rights “change the way people perceive themselves vis-à-vis the government and other actors,” calling power structures into question. In these respects, the approach is transformative – and when it comes to systemic discrimination, transformation is what we need. With a glance at today’s statistics, the problem – the compounded effect of countless human rights violations – becomes apparent. The Canadian gendered wage gap is twice the global average at 30%. BC women are even further behind, with the gap widening to 35% provincially. From 2000 to 2010, median income of Canadian women rose by 10.6%. BC made only a 4% gain. The BC Human Rights Code precludes employers from refusing to hire persons because of their gender or family status – but statistics tell us that discrimination is happening at an increasing rate. Discrimination may be unconscious, as “stereotypical assumptions about women’s abilities, interests and priorities… lead even fair-minded, well-intentioned employers to discriminate against women in the workplace”. With no employment equity law or programs, BC employers are not required to scrutinize hiring practices to eliminate discriminatory effects, or to challenge ingrained stereotypes by hiring disadvantaged groups in fields where they are underrepresented. As a result, women are funnelled into low-paying, precarious work. 70% of BC’s minimum-wage workers aged 25-54 are women. With BC lagging so far behind national averages for women’s employment, it is clear that the state of affairs is not the result of one or two poor policy decisions; it is the result of prolonged power imbalance. The rights-based approach identifies problems as “rooted in differences of power, income and assets”. BC has the highest rate of income inequality in Canada, with average household income of the top 1% growing by 36% in the last 10 years, while that of the median remains unchanged. With such pronounced inequality, it is imperative that exploitative power relationships be challenged. This can only happen with the involvement and empowerment of those who are most marginalized. Fortunately, the United Nations did just that – they involved and empowered 22 Canadian NGOs by hearing their submissions at the 2016 CEDAW review. Typically, underfunded NGOs face barriers that limit access to such global institutions while “representatives of private capital generally enjoy unfettered access to the decision-making table”. With funding from Status of Women Canada, as well as other research grants, the voices of marginalized Canadians were heard. Adoption of a rights-based approach brought Canadian NGOs to the table, but now we need action at home. “International conventions establish rights as universal, but give little guidance on translating the universal into local realities,” said Oxfam in a report on rights-based development. This concern was borne out following the last CEDAW review in 2008, when the Harper administration simply ignored most of the Committee’s recommendations. This time around, NGOs hope that the feds take heed. “We have a Prime Minister who repeatedly reaffirms his commitment to gender equality – so structurally, we are in a good place,” assured Linda Savoie, Senior Director at Status of Women Canada. NGOs are cautiously optimistic, urging the BC Liberals to implement the CEDAW Committee’s 2016 recommendations. “We know the conclusions of this Committee have the power to ignite political will,” said the BC CEDAW Group. For the sake of all Canadian women, let’s hope they are right. Carly Stanhope is a JD student at the Peter A. Allard School of Law and the research assistant to the BC CEDAW Group. CEDAW, 65th Sess, 1433rd Mtg, UN Doc CEDAW/C/SR.1433 (25 October 2016). BC CEDAW Group. 2016. Women’s Rights in British Columbia: Submission to the Committee on the Elimination of Discrimination Against Women on the occasion of its consideration of Canada’s combined eighth and ninth periodic reports at its sixty-fifth session. BC CEDAW Group, supra note 2 at 1. Day, Shelagh and Gwen Brodsky. 2014. Strengthening Human Rights: Why British Columbia Needs A Human Rights Commission. Oxfam America. 2001. Challenges And Opportunities Of Implementing A Rights-Based Approach To Development: An Oxfam America Perspective. Ontario Human Rights Commission. 2008. Human Rights At Work. Feminist Alliance for International Action. 2016. Reply To Issues 3, 4, 7, 8, 11, 12 & 13: Report To The Committee On The Elimination Of Discrimination Against Women On The Occasion Of The Committee’S Eighth And Ninth Periodic Review Of Canada. Canadian Centre for Policy Alternatives – BC Office. 2012. BC Disadvantage For Women – Earnings Compared With Other Women In Canada. Human Rights Code, RSBC 1996, c 210, s 13(1). Women’s Legal Education and Action Fund. 2016. Closing The Gender Wage Gap. BC CEDAW Group, supra note 2 at 7. West Coast LEAF and Coalition of Childcare Advocates of BC. 2016. A Cornerstone Of Equality For Canadian Women: The Essential Role Of Child Care In All Articles Of The Convention On The Elimination Of All Forms Of Discrimination Against Women. Chapman, Jennifer, Valerie Miller, Adriano Campolina Soares, and John Samuel. 2005. Rights-Based Development: The Challenge Of Change And Power. BC Poverty Reduction Coalition. 2016. Factsheet On Poverty and Inequality In BC. Chapman et al, supra note 17 at 5. Oxfam America, supra note 4 at 16. Oxfam America, supra note 4 at 19. BC CEDAW Group, supra note 2 at 4, 9. BC CEDAW Group. 2016. “Women’s Rights in BC”. Presentation, United Nations Headquarters, Geneva. This entry was posted in Law School and tagged Students by alison colpitts. Bookmark the permalink.